BUTTE – Nothing is more difficult to deal with as a parent than not being able to help your child when he or she is in pain. In this week’s Montana Made, we meet a Butte mom who returned to her roots to help her son in a most unusual way. Tania Brackett recently opened a store on Harrison Avenue in Butte. It was not her dream to be a store owner, but Wild Horse Meadows Soap Company started because her son needed help. Brackett was studying medicine at that time. But it was her Alaskan roots that changed the course of her career and her family. Her soaps helped her son, and then a lotion she made helped a friend with a medical condition. As with many small businesses, word of mouth is advertising gold. “We basically started at the farmers’ market here in Butte and now we’re all over,” said Brackett. “We actually sell to TJ Maxx, Marshalls, Home Goods, HomeSense. They’ve sent us like 2,000 different stores all over the world." Brackett uses as many Montana products in her products as she can: Wheat Montana oatmeal, honey from nearby Walkerville, and alcohol from several southwest and western Montana distilleries and breweries. Her advice to new small business startups is simple. Brackett says she’s not sure where Wild Horse Meadows Soaps will go from here. What she does know is her son has found relief and her family has found success thanks to grandma’s roots and herbs remedies, strong community support, and Tania’s focus on staying committed to natural and Montana produced products. 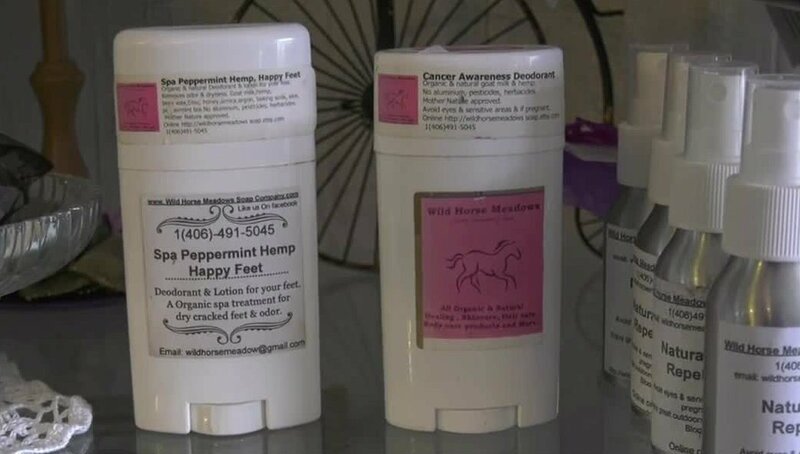 Wild Horse Meadows soaps and other products can be found across the Big Sky and the country.